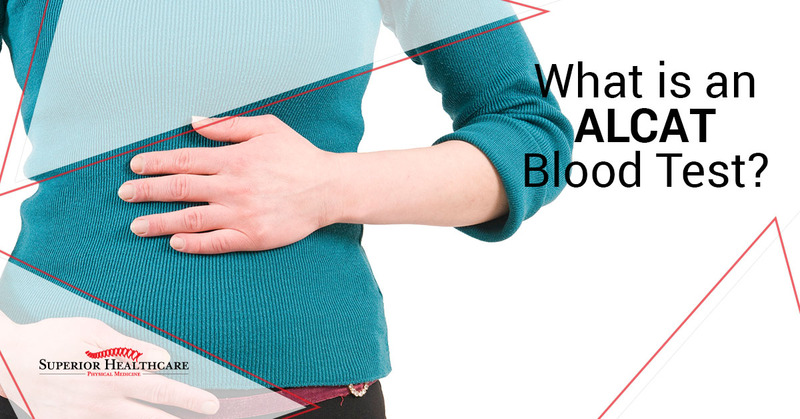 What is an ALCAT Blood Test ? When you have chronic inflammation in your intestines, your whole outlook changes. Instead of seeing and enjoying a plate of food, you wonder how much discomfort you are going to feel after eating. And, unfortunately, you won’t always be able to tell what will hurt you until it is too late and you have already ingested it. Another problematic part of chronic inflammation is you won’t be able to tell how long you will feel pain. This can obviously be disruptive to your life, as certain activities will no longer be an option because of how you feel. The difference between acute and chronic inflammation is that acute will only last a few days. However, chronic inflammation can last for months and onsets slowly. When you have chronic inflammation, it is typically the cause of pathogens entering the body, that cannot be broken down easily by the body. You can also develop chronic inflammation by viruses and foreign bodies that remain in your stomach and cause overactive immune responses. There is a difference between a food allergy and a food sensitivity. Sensitivities tend to include chronic inflammation and are directly linked to digestive problems. Comparatively, an allergy is when antibodies are released and cause a complete immune response. Because the body reacts in this way, your organs (sometimes multiple) react to the food that has been ingested. As a result, your organs can react poorly and attempt to shut down, this can obviously be problematic and sometimes leads to death. Aside from being extremely distracting and disruptive to your life, chronic inflammation is difficult to treat. Most of the ways to effectively treat the disorder is by watching diet, however, certain people will react to foods differently. Because of this, when you are in the “learning phase” of treating your inflammation, eating can be miserable. It is a sort of Russian roulette, but with your inflammation symptoms. It is roulette, because you won’t always know what triggers your symptoms until you ingest a certain food. Plus, as said before, you won’t be aware for how long your symptoms will last. If could be for a few hours, days — maybe months! One way of treating you inflammatory issues is to know for certain what it triggering the poor intestinal response. A method to figure out your dietary “dos and don’ts” is by taking an ALCAT blood test. In this simple blood test, you will be able to get results that uncover which foods and other substances trigger your symptoms. However, this test doesn’t just have to be used for chronic inflammation. By using this test you can also learn what foods can cause gastrointestinal and metabolic disorders. The best part about ALCAT blood tests is that they are non-invasive and produce precise results. But how does it work? The process is simple; you just give a small sample of your blood! Your blood is then taken to a laboratory, where it is put through testing. During testing, your white blood cells are sampled against foods and other substances. This action is called flow cytometry and cell impedance methodology. From these tests analysts will be able to confirm which foods react poorly with your body. To make the results simpler for you, your results come back to you in a color-coded format that is clear to read and well organized. It is better to know what is bad for your health, than not to know. When you don’t know, you can be caught by surprise by feelings of discomfort at the worst possible moment. At least when you have the result in-hand, you will never question again what is good for you and what is not. With the results from your ALCAT test, you will be able to personalize your own nutrition plan and watch out for foods that don’t agree with your health. ALCAT testing is important because it can show you specifically what foods are digestible, and which are not. By taking an ALCAT test, you will be able to prevent yourself from having unexpected outbreaks or inflammatory episodes. With just a few drops of blood, you will be able to take the mystery out of your inflammatory symptoms. If you are interested in ALCAT testing, contact Superior Health today! We can get you tested and significantly help your nutritional health!